The following is a grading guide for the Vn Cvarto coin of 1930-1947. It is based on the Sheldon grading scale of 1-70 which is widely used in the United States and elsewhere including Panama. Grading is an art, and is subjective in nature. Different collectors and dealers will have legitimately different opinions about the same coin. However, there are generally recognized standards used as a basis for grading coins, medals and tokens. 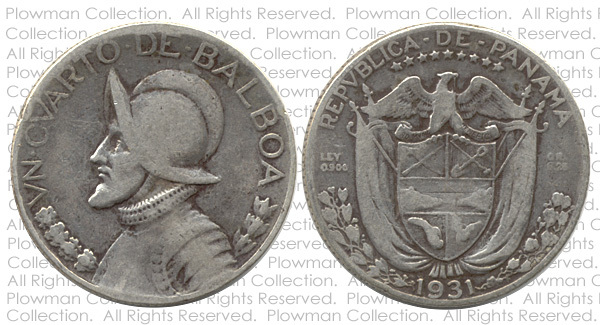 Standards have been published for grading Panama coins by the Isthmian Numismatic Society (now defunct) and the Asociación Numismática De Panamá (in Spanish). The guide below is my application of the Sheldon grading scale to the Vn Cvarto coin of 1930-1947, taking into account the standards previously published. If the helmet on the obverse merges into the face, the Vn Cvarto is low grade, Good or About Good. If the flat spots on the eagle's breast and leg or legs have merged, the Vn Cvarto is a Fine or lower grade. Sometimes referred to as the "basil state". 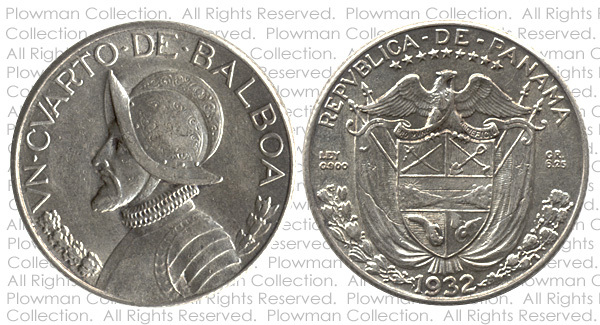 This is an object that is barely recognizable as having been a silver Un Cuarto from Panama. The design is almost completely gone due to wear or corrosion and date is illegible. This coin has no numismatic value, it is time to melt it down! 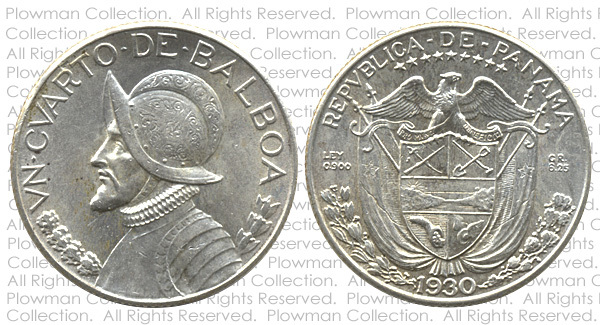 This low grade has some numismatic value, due to the scarcity of some of the dates, especially the 1931. And all the members of this variety certainly have precious metal (silver) value. 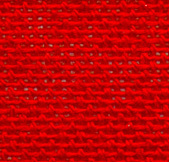 The above example has only three visible rivits. The helmet design is gone, and the helmet and face are starting to merge. The rim on the obverse is showing wear, especially along the top where several letters are starting to merge with the rim. On the reverse, the rim is mostly intact but shows weakness on the right and left. The coat of arms and eagle are flat, with many design elements outlined but lacking in detail. I would grade this coin as a Good (G-4). Some marks are allowed but should not be very deep, long, or distracting. Many un Cuarto coins are in this state. They have some numismatic value, and are generally the minimum grade that collectors prefer to have in their collection. The above example has six visible rivits, although the one in the middle is somewhat weak. There is light wear in the middle of the helmet, but the helmet still retains lots of detail. There are traces of luster remaining, especially around the word "DE" in the legend. On the reverse, there are medium-size flat spots on the eagle's breast and right leg. The cornucopia shows a relatively small amount of wear. Overall this is an attractive coin which I would grade as Extra Fine (EF-40). The above example has six visible rivits, all strong. The detail in the middle of the helmet shows just a slight amount friction or disturbance. On the reverse, there are some small flat spots on the eagle's breast and right leg. The cornucopia shows a trace of wear on the bottom vegetable. Overall this is a very attractive coin which I would grade as Almost Uncirculated (AU-55).